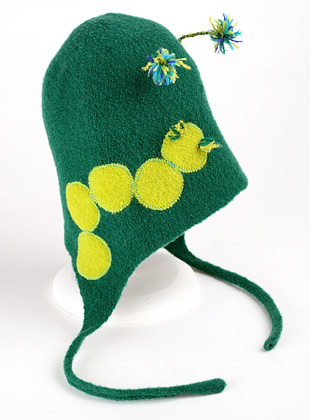 jungle green caterpillar hat with multicolored antennae + caterpillar applique crawling on the side. please specify baby or kid size. both sizes have earflaps and approx. 9” long ties.